A review is underway to update the Town of Coaldale’s development plan. 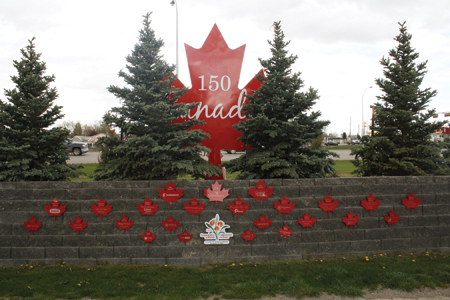 During their regular Oct. 22 meeting, Coaldale town council considered a request from administration to start a review and rewrite of the town’s Municipal Development Plan, or Town Plan, as administration wants to call it. With the recent annexation, the town has gained approximately 1,500 acres of land that is not in the current town plan. While ideas on what to do with the land were presented during the two-year annexation process, administration wants to provide a more in depth look at possible developments for town residents. Other things administration wants to accomplish with the review include gauging the interests of residents as the town grows and changes and what things they feel is important, such as maintaining a small-town feel or walkability, and a clear direction for growth and objectives for the town’s changes. The plan is the highest-level statutory document that the town maintains, and it is mandated in the Municipal Government Act in section 632(3) that a municipality needs to provide a clear outline on the growth and development of their community. Croil requested that council approve the project’s charter, which outlined the details of the plan’s review. Coun. Bill Chapman said he supported the proposal to change the title of the plan. “Even for myself, the acronyms that go along, especially with IMDP and the number of other plans that float around, that are sometimes intermunicipal and more global, or internal even, this will help us, help us in a lot of ways,” said Chapman. Coun. Roger Hohm noted that there was a budget of $30,000 listed for the review, and inquired about whether it was in their existing budget. Croil said that it was money that had been “carry-over from the last two years”. “This is money that had been allocated previously, that we’re just initiating the project now, as we were waiting for annexation to finalize,” said Croil. Council passed a motion to approve the project charter.